How to insulate plastic windows? 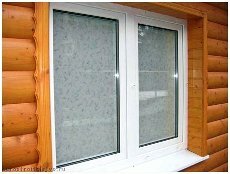 known, that the white plastic window - is not only beautiful appearance of a house or apartment, but also optimal protection from cold dwelling, winds and other weather troubles. but, whatever quality were not double-glazed windows, in the course of their operation may have some problems, namely the transmission of cold from the street. Therefore, after installation the most important point is proper insulation of plastic windows. The reason for passing the cold in most cases is foam, which is the only material, used by builders for installation of plastic windows. Due to the presence of a large number of volume since the cold air almost does not see obstacles to their entering into a warm room apartments. So before you close up the slopes of plasterboard window, you need to make high-quality putty its exterior joints. Insulation windows plastic requires a concrete solution. It is used as a base material for this procedure, by means of which it is necessary putty all the gaps, available on the outside of the window. If at hand there is no concrete solution, it can easily be replaced by tile adhesive, diluted in the appropriate proportions. After that, as the outer side of the plastic box was insulated, and can move to the inner workings. Here, the main question is how, in order to properly and accurately select the material for the slopes window, and also make it a quality installation. In recent years, builders have increasingly used the drywall, which is both easy, and durable material, and copes well with the objectives. To sheets of drywall came to a plastic window, the first thing you need to carefully trim the remnants of foam, cleaned and primed the walls, which is directly attached gypsum board. Removing the corresponding measurements on the sides and top of the window, you need to cut a sheet of drywall bought into pieces, and it must be done exclusively in the direction, wherein the label on it is. This is necessary in order, to when installing drywall is not scattered in the hands of. Thermal insulation of plastic windows continue the process of attaching the cut pieces to the slopes of plastic windows. For maximum effect it is recommended to use screws "quick installation", which are driven into the wall with plasterboard. And this is done so deeply, that the cap screws after alignment should "sit" on 2-3 mm below the surface of the plasterboard. 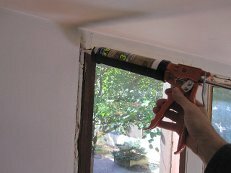 When, when the slopes of the windows are very small and there is not much need for drilling and driving screws, You can use "liquid nails", that the quality does not concede to the "fast Screws", Although much more expensive than the last. The final stage is a plastic window insulation plaster cracks and joints drywall putty. In this case, the surface of the drywall and all the sections, holes and joints are sealed on it at the beginning of the starting filler, and in the end - are covered by the finish. This is necessary in order, to give the slopes a flat and smooth surface, as well as to prepare them for subsequent painting. After that, both plastered layers dried, you can breathe a sigh of relief, since the process of warming the plastic window came to an end. On the whole,, Only by doing such actions, we can safely say, that the insulation plastic windows in the apartment or private home done. Now, even in the most severe frosts owners will enjoy the warmth and comforts of home at any time of the day or night.